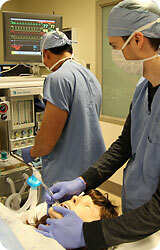 The Department of Anesthesiology & Pain Medicine at the University of Washington provides several courses in Advanced Cardiac Life Support (ACLS) Training to UW & non-UW Anesthesia providers. The courses are offered in December and March. 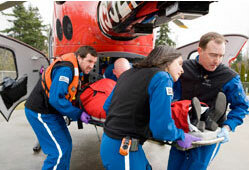 We also offer computer simulation ACLS training courses that are available throughout the year. ACLS Simulator 2012 allows you to rehearse the latest AHA Advanced Cardiac Life Support guidelines for 16 different megacode scenarios. You interpret the ECG, assess the patient, control the airway, breathing and circulation, defibrillate and administer cardiac medications. 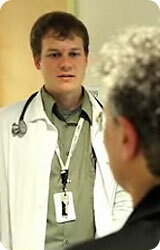 You must act quickly in this real-time simulation or the patient's condition will deteriorate! Browse to www.anesoft.com to obtain the software. The software is Windows and Macintosh compatible and costs $69. 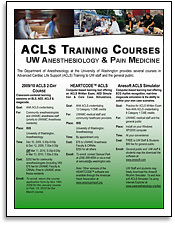 The ACLS simulation software is available for free to any student, resident, nurse, physician or other person with a University of Washington UW NetID. To access follow the instructions below. Please note the special system requirements. (PLEASE MAKE SURE YOU USE THE “ \ ” (backslash) character. If you have any problems logging in, please contact IT Services Help Desk 24x7 at: 206 543-7012. Practice using the program and reviewing the ACLS algorithms with cases 1-16. 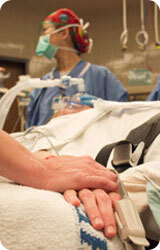 You can complete the departmental ACLS requirement by successfully managing the four evaluation case scenarios.